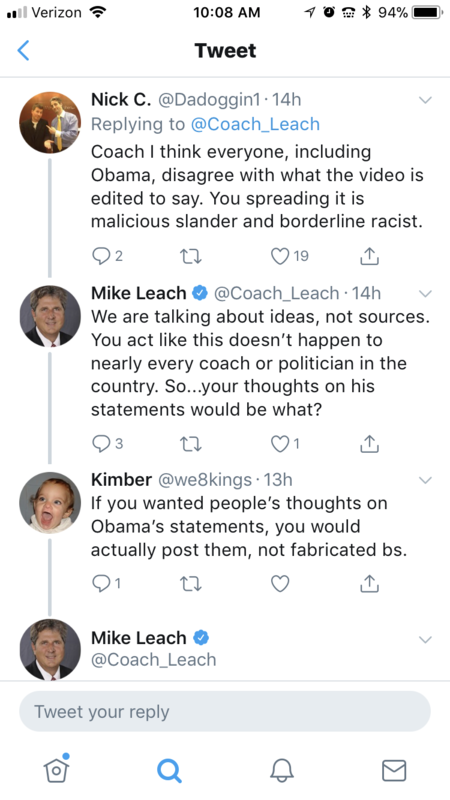 Mike Leach tweets fake Obama video to start "discussion," later admits video was "incomplete"
Mike Leach this morning called the intentionally-doctored Obama speech he tweeted "incomplete." 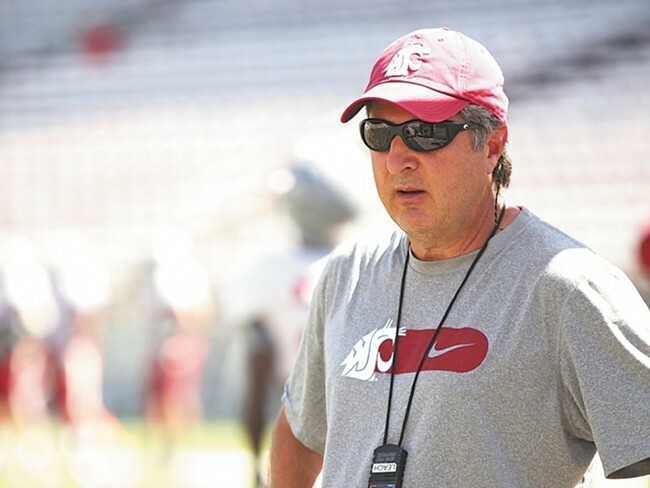 Online followers of Washington State University head football coach Mike Leach are typically treated to tips on exotic travel destinations, inspirational sports quotes and the occasional meme. Last night, however, Leach's web surfing led him to tweet out a doctored 20-second video of President Barack Obama giving a speech in 2014. The video was intentionally edited to make it seem like Obama told the crowd, "ordinary men and women are too small-minded to govern their own affairs, but order and progress can only come when individuals surrender their rights to an all-powerful sovereign." Again, the video is fake. Obama was actually arguing against the idea presented above, calling it an "alternative vision" that threatened the idea that all men and women are created equal. Here's the full transcript of the actual speech. But Leach, a supporter and friend of President Donald Trump, apparently didn't realize it was fake initially. His tweet has since been deleted, but Deadspin got a screenshot of it, in which Leach says, "Listen to this. Text your thoughts. There is a lot of disagreement on government, so I think that an open discussion is always in order. Tweet your thoughts. Maybe we can all learn something." 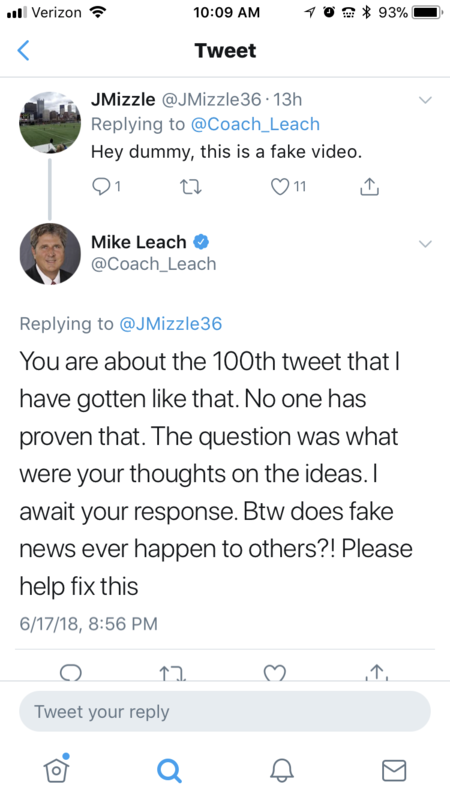 When people on Twitter pointed out the video was fake, Leach doubled down, spending hours arguing with Twitter users. He told them to prove it was fake, then argued that the facts were irrelevant to the larger "ideas" presented in the video, which, again, were misrepresented. And when all else failed, he justified tweeting the video — whether it was fake or not — because "fake news" happens all the time. You can check out his account for more, but you can get the gist from the tweets above. It wasn't until this morning that Leach said "I agree that the video was incomplete," without acknowledging his role in spreading the misinformation. Washington State University has not responded to the Inlander's request for comment on Leach, who gets paid roughly $4 million a year. WSU spokesman Phil Weiler gave the following statement: "As a private citizen, Mike Leach is entitled to his personal opinions. Coach Leach's political views do not necessarily reflect the views of Washington State University students, faculty and staff."